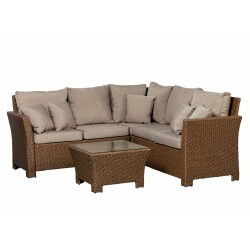 Shop our Patio Sense brand for wicker furniture, garden stools, planters, yard ornaments and more! Free Shipping on all orders. 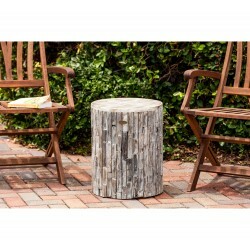 Constructed of salvaged wood repurposed from the process of furniture construction, these garden stools maximize character and minimize waste by upcycling leftovers otherwise destined for discard. 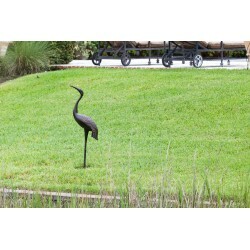 Our new Antique Bronze Cast Aluminum Male Crane brings the beauty of nature directly to your patio or garden. 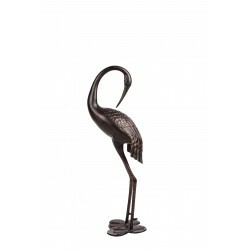 Our new Antique Bronze Cast Aluminum Female Crane brings the beauty of nature directly to your patio or garden. 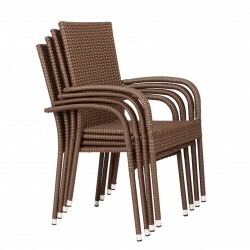 One way to describe the Patio Sense Morgan Outdoor Wicker Chairs is that, its a great patio furniture that brings comfort and function to your outdoor spaces. With these comfortable chairs a basic brick patio or backyard is transformed into a sensory-rich dining destination.FREE Fast Shipping! 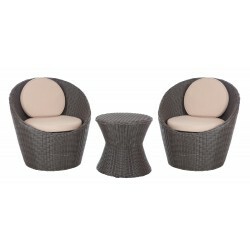 The Bella Bollo Round Wicker Bistro Set includes two all weather wicker chairs and side table. 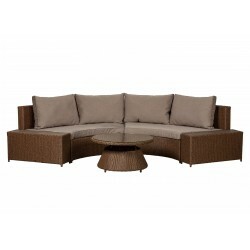 The Jarrett Wicker Sectional Set in an attractive mocha finish includes seating for four or more, and a glass-topped table perfect for a citronella candle or pitcher of lemonade by the pool. The Teagarden Wicker Sectional Set in an attractive mocha finish includes seating for four or more, and ottomans for two to kick back. 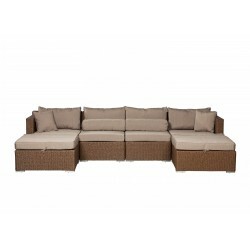 Relax in comfort on the included thick outdoor cushions in a neutral taupe shade that will blend with any decor. The Webster Sectional brings an instant conversation pit to your outdoor space! A two-piece curved bench with comfy outdoor cushions can be used as one stylish unit or pulled apart for a flexible seating arrangement.